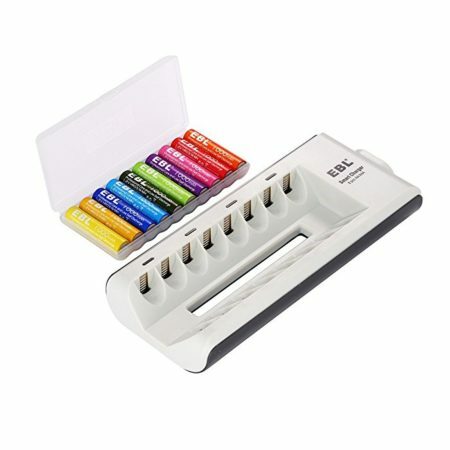 This smart rechargeable battery charger for AA AAA Ni-MH batteries can be used as a portable power bank. 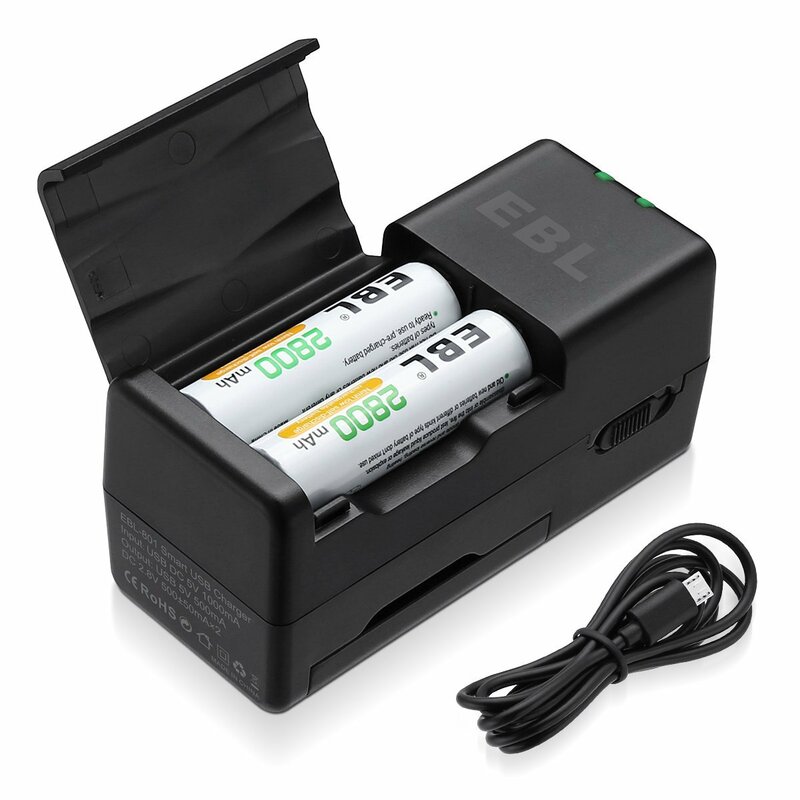 This multi-functional battery charger can charge 2 or 4 pieces of AA/AAA Ni-MH rechargeable batteries. 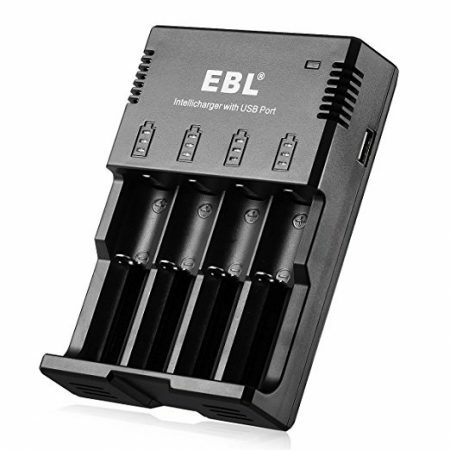 The charger has smart LED inidicators to show the charging process for batteries. 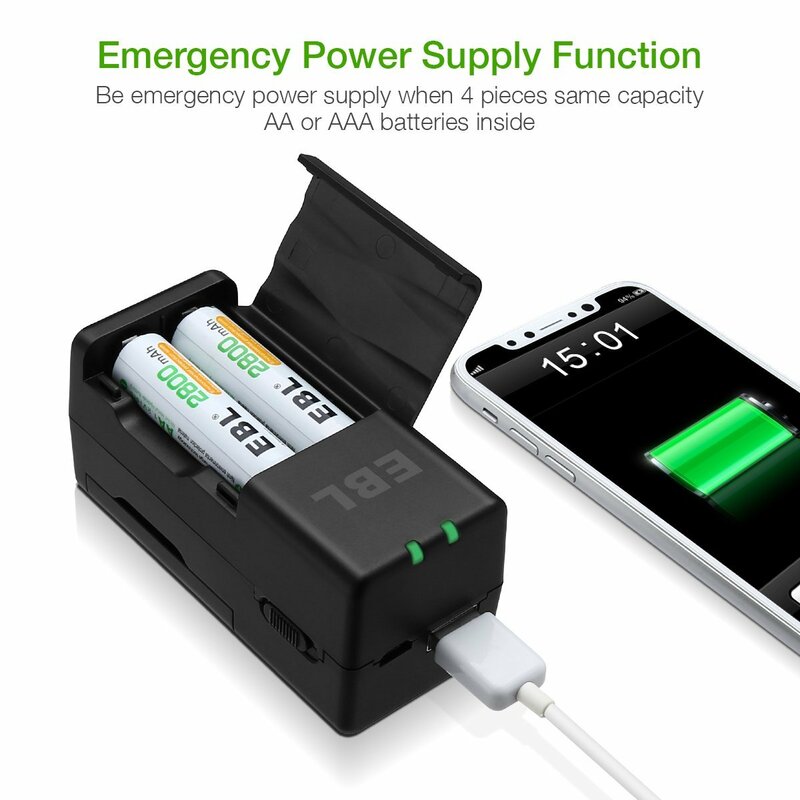 Powered by 4 pieces of AA/AAA Ni-MH batteries, the smart charger can be used as a portable power bank to charge your cell phone, tablet and other USB-enabled devices. 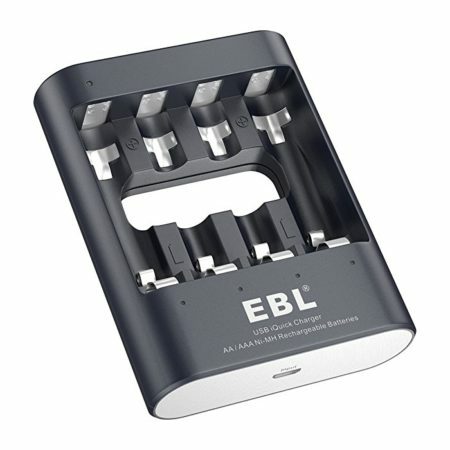 This EBL 801 smart battery charger is designed to charge up to 4 pieces of AA/AAA Ni-MH rechargeable batteries. 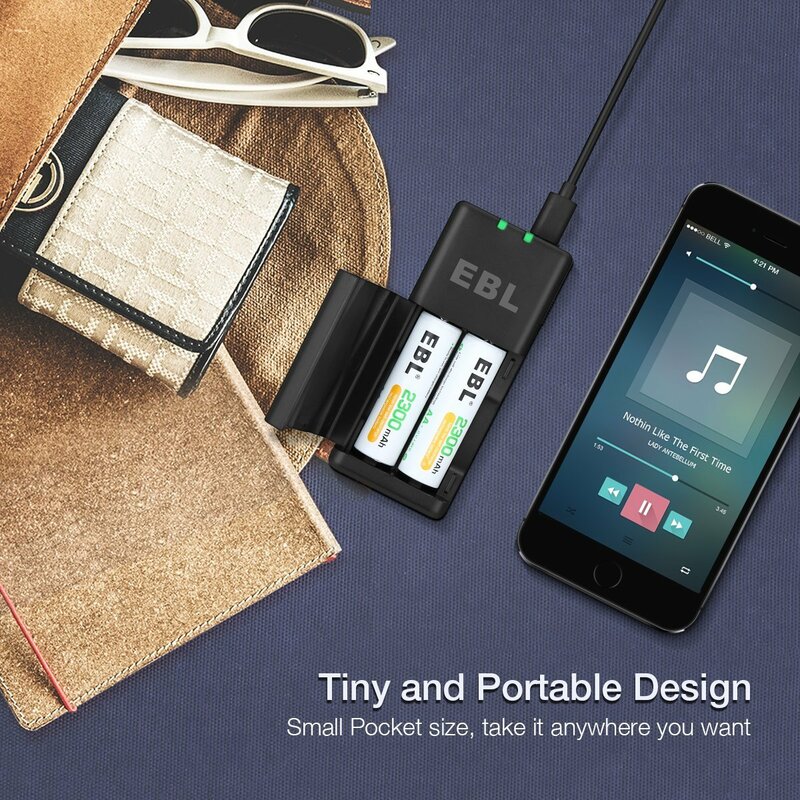 This smart charger has a user-friendly pocket size. You can carry it around effortlessly without feeling much weight. 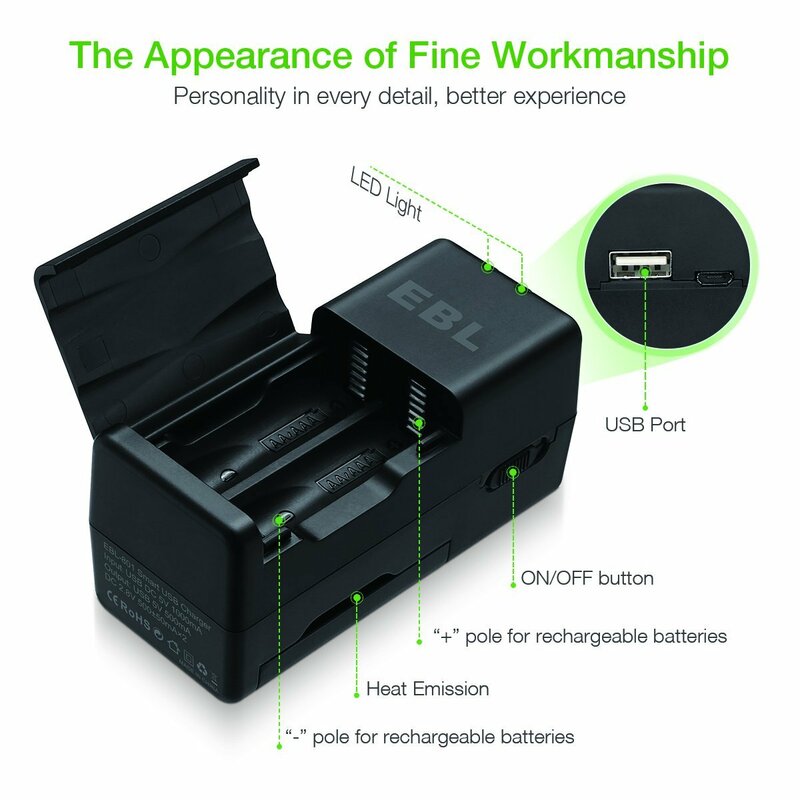 The AA/AAA battery charger also works as a portable power bank due to the USB output port design. Thanks to the advanced MCU control technology, the charger works safely with protection from overload, over voltage, over current and short-circuit. 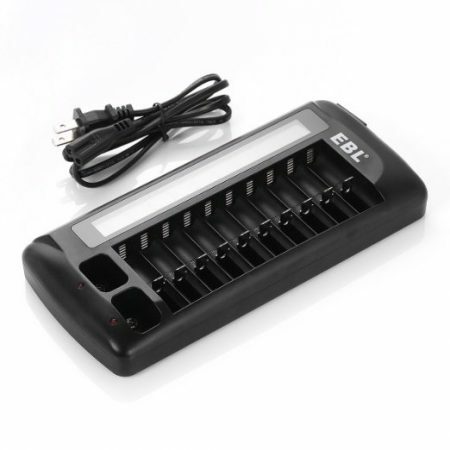 The safe multi-purpose battery charger has smart LED inidcators showing battery level while charging. 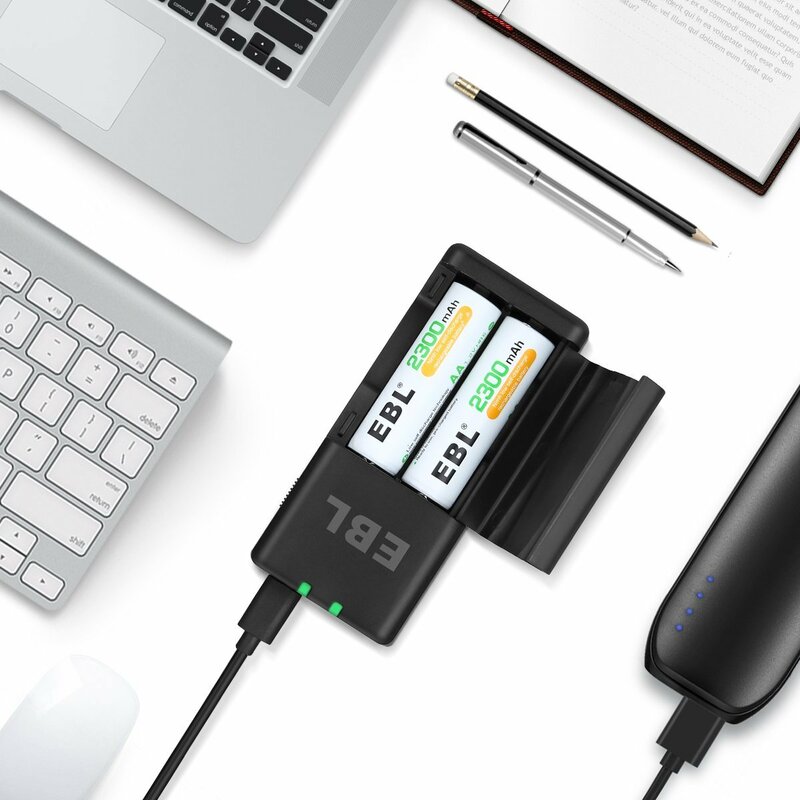 This battery charger uses intelligent △V and -△V cut-off charging method. 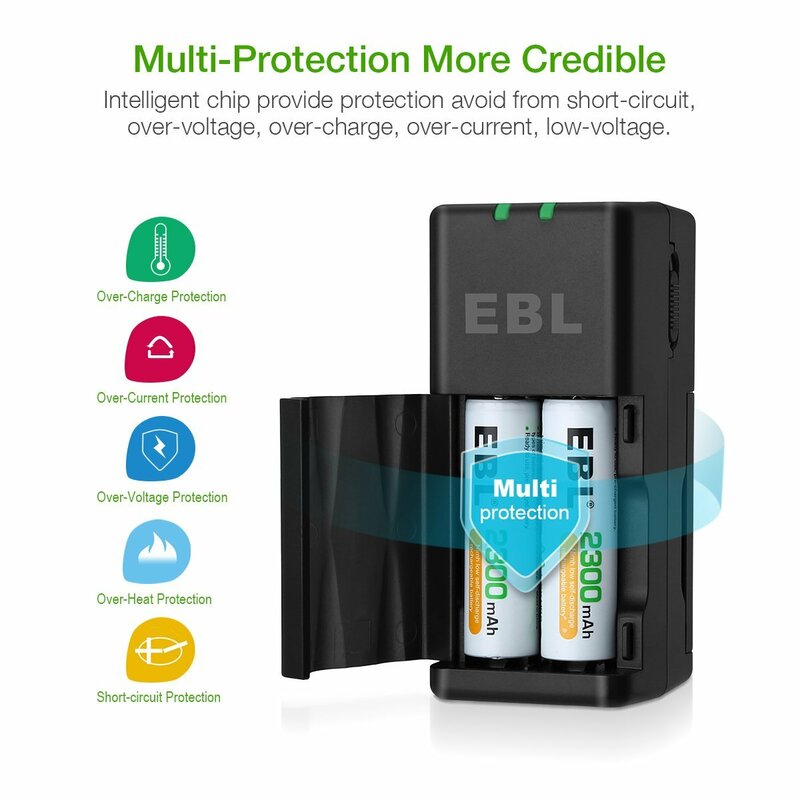 It can automatically turn into trickle charging mode to prevent over voltage & current, overload, over heating, reverse polarity etc. 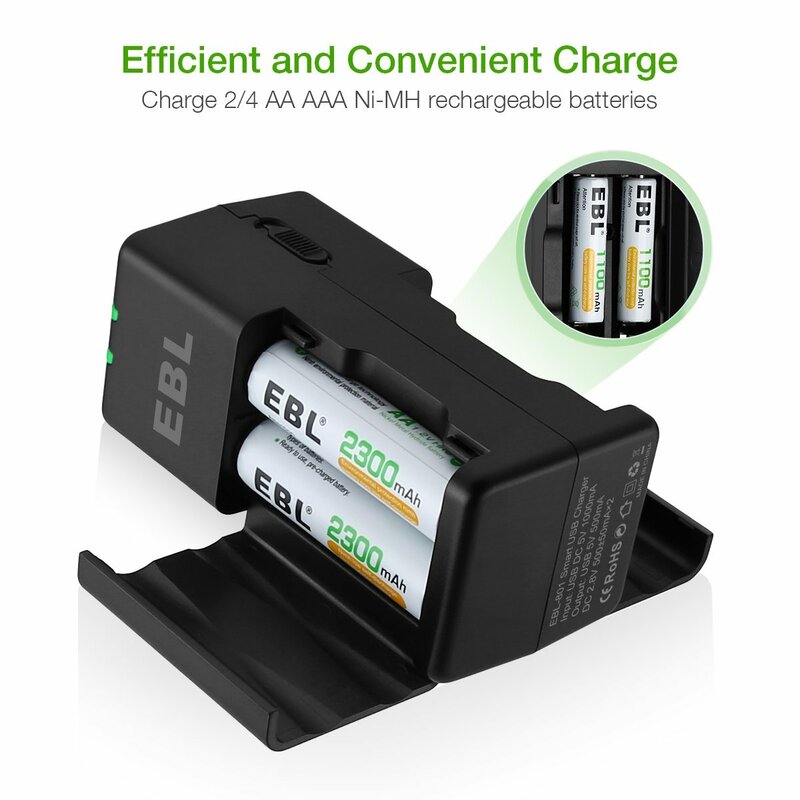 The charger can charge your rechargeable batteries with great efficiency.